There are moments we always remember. Sadly, most of them are bad, like Pearl Harbor for my parents’ generation and September 11 for us. Sometimes, however, the news is good, even fantastic. 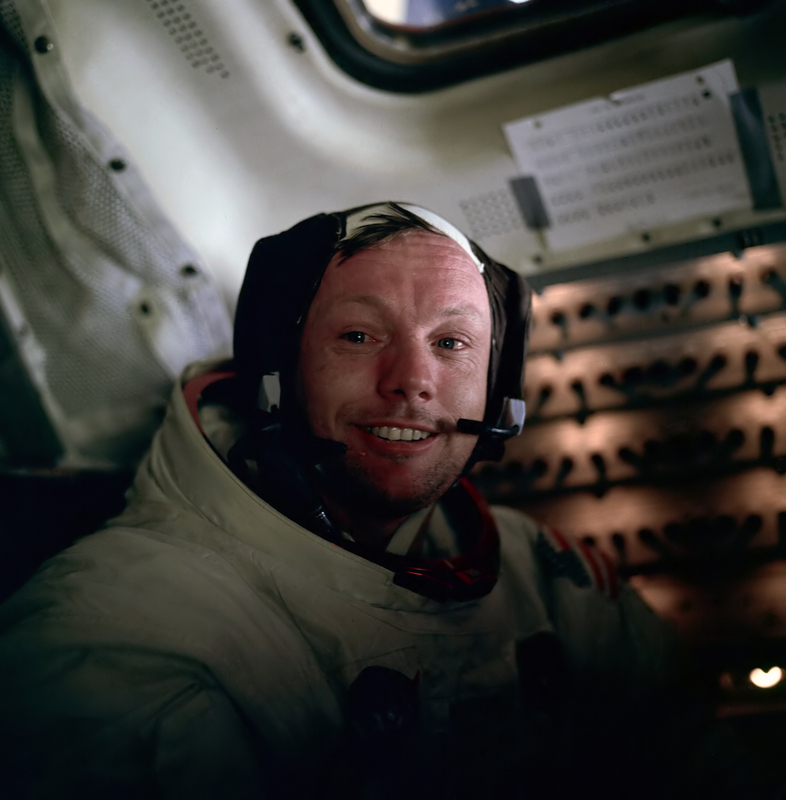 Those of us who remember July 20, 1969 will never forget the thrill, the surge of optimism when Neil Armstrong stepped onto the moon. I was driving home from the bay area yesterday afternoon when the radio said he had died at the age of 82. In an instant, memory carried me back back to a restaurant in Yosemite 43 years ago. I was up there for the summer, working to earn money to buy my first car. It was slow at 4:30 that afternoon – the dinner crowd wouldn’t arrive for another hour. The whole crew gathered in the kitchen where someone had placed a portable black and white TV with rabbit ears. Later that evening, a friend and I lay on the ground near the river, gazing up at the summer moon, which was full that night, trying to wrap our imaginations around it. The night was warm. We lay there, not saying very much, until it was late. 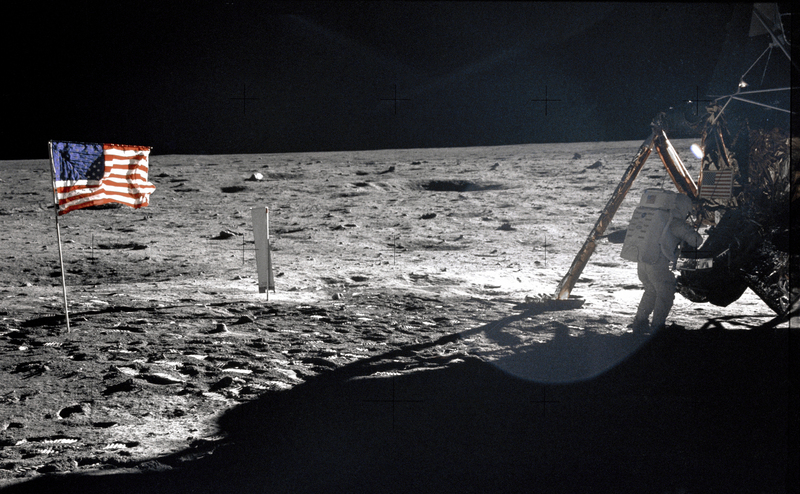 Several people who knew Neil Armstrong spoke on the radio. A friend of his noted of the irony of a man who stood in the world spotlight but was one of the shyest and most retiring people she ever knew. Everyone mentioned his patriotism and courage, as a combat pilot, a test pilot, and finally as a man who went where no one had gone before. There are times in adolescence when we think we can do anything, like get a job in the mountains and earn enough money to buy a car. There are times when nations believe they can do anything, like put a man on the moon. The webs of cause and effect are far too complex to sort out, but both individual and collective achievements begin with strong intentions. Even when we set out to find X and discover Z instead, some determination got us moving. Neil Armstong seems to have been a decent and courageous man. Now he is even more than that. His smile from space will always remind us of how barriers can fall and new frontiers can be gained when we are motivated by deep and unswerving intention. This entry was posted in History, News, Science and tagged history, Neal Armstrong, News, Science. Bookmark the permalink. The losses seem to be getting closer and closer together. I guess it means I’m getting older. He was a great, brave man.